A new school year is coming, here are 10 tips to help get you organized. With the start of school, we face new organization challenges. Get organized for the best school year ever! Use these ideas to prepare your home and family for back to school. Each school year floats on a sea of schedules with school functions, lunch menus, lacrosse practice and music lessons. You need a centralized site for all family calendars and schedules. You'll need a family event calendar to track all activites, a one-stop shop for family time management. Streamline your mudroom to create space for the kids to store their backpacks, jackets, sports and music equipment, and other back-to-school gear. It’s important for everything to have its place. 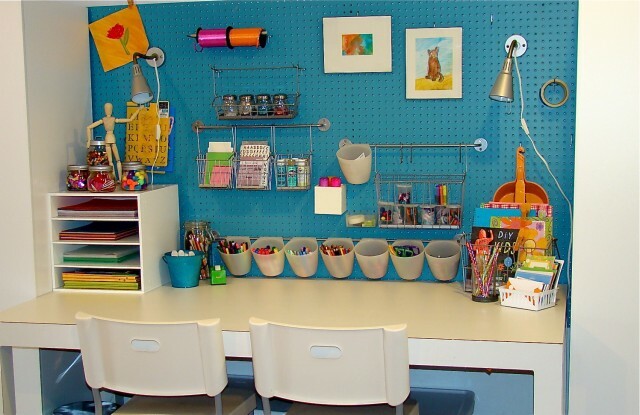 The school supplies should be kept in a storage space in bins or drawers near the homework workspace. 4. Clean out the kids closets. Purge clothing and items that no loner fit to clear way for the new school clothes, organize and keep things tidy. 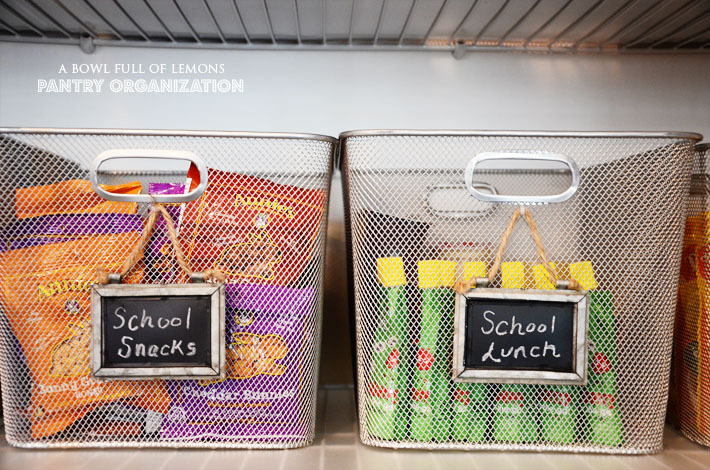 Creating an organized pantry will make packing lunches and after school snacks less stressful. 6. Create easy to clean play space. Good storage for games and toys will make clean up before bed time fast and easy. 7. Create a kid's reading nook. Organize the kid's books and create a reading space for them. This will encourage reading and help with reading homework. Guaranteed to nag the kids less and make reading homework more enjoyable. Make sure to give the kids a place to create art or be creative. Having this outlet is important. 9. A place to display the kid's artwork. Give the kid's a sense of pride by displaying their works of art. Probably one of the most important tips is to have a space of your own that you can retreat to. A comfy slipcover chaise in the corner of your bedroom or a lounge chair on the back porch, either will do.